Each case of clear glass roll on bottles comes with PE housing unit, polypro ball, and polypro caps. 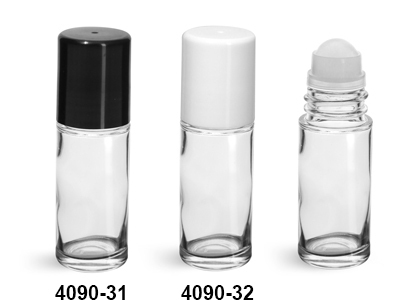 These cosmetic roll on bottles could be a great packaging option for perfume or essential oils. Be sure to test your product with the roll on for proper compatibility.